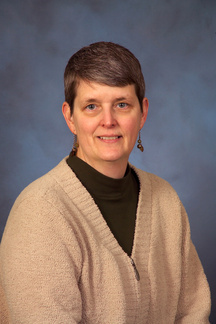 Dr. Michelle Willette joined the University of Minnesota College of Veterinary Medicine in 2007. She has extensive experience in zoological medicine and is co-founder of the Association of Reptilian and Amphibian Veterinarians. As staff veterinarian of The Raptor Center she oversees the medical and surgical care of over 800 raptors a year, and is the clinical supervisor for senior veterinary students, interns and residents. As an assistant professor, she also helps to teach a variety of avian, exotic, and zoological courses. The Raptor Center also utilizes raptors as biosentinels to research emerging health concerns and issues for raptor populations and the ecosystems we share. A major research focus for Dr. Willette is development of the Clinical Wildlife Health Initiative, an interdisciplinary collaborative formed to promote the infrastructure and analytical tools required to utilize data from wildlife in rehabilitation settings. Ponder, J., Willette, M. Strigiformes. 2015. In: Fowler, Murray E., R. and Eric Miller (Eds.). Zoo and wild animal medicine: Current therapy. Vol. 8. Elsevier Health Sciences. Redig, P., Willette, M., Ponder, J. 2014. Raptors. In: West, Gary, Darryl Heard, and Nigel Caulkett (Eds.). Zoo animal and wildlife immobilization and anesthesia. 2nd edition. John Wiley & Sons. Mendez-Angulo, J. L.,Funes, F. J., Trent, A. M., Willette, M., Woodhouse, K., Renier, A.C. 2014. Omental torsion in a captive polar bear (Ursus maritimus). Journal of Zoo and Wildlife Medicine, 45(1), 169-172. Willette, M., Ponder, J., McRuer, D.L., Clark, E.E. Jr. 2013. Wildlife Health Monitoring Systems in North America: From Sentinel Species to Public Policy. In: Aguirre, A. (Ed.) - Conservation Medicine: Applied Cases of Ecological Health. Michael, H. T., Willette, M., & Sharkey, L. 2010. What is your diagnosis? Choanal swab from a young Gyrfalcon. Veterinary Clinical Pathology, 39(4), 511-512. Willette, M., Ponder, J., Cruz-Martinez, L., Arent, L., Bueno-Padilla, I., Nicolas de Francisco, O., Redig, P. 2009. Management of Select Bacterial and Parasitic Conditions of Raptors. Veterinary Clinics of North America - Exotics, 12(3), pp.491-517. Willette, M., Ponder, J. 2009. Monitoring Wildlife Health. Topics in Wildlife Medicine - Infectious Diseases. National Wildlife Rehabilitation Association, Volume 3, pp. 28-40. Wunschmann, A., Armien, A., Harris, N.B., Brown-Elliot, B.A., Wallace, R.J., Rasmussen, J.,Willette, M., Wolf, T. 2008. Disseminated Panniculitis in a Bottlenose Dolphin (Tursiops truncatus) due to Mycobacterium chelonae. Journal of Zoo and Wildlife Medicine, pp. 412-420. Schoelkopf, L., Hutchinson, C.E., Bendele, K.G., Goff, W.L., Willette, M.M., Rasmussen, J.M., Holman, P.J. 2005. New Ruminant Hosts and Wider Geographic Range Identified for Babesia odocoilei. Journal of Wildlife Diseases, 41(4), pp. 683-690. Trent, A.M, Willette, M.M., Rasmussen, J.M., Treangen, D. 2005. So Your Director Wants A Farm In The Zoo. In: Proceedings of the American Association of Zoo Veterinarians Annual Conference, Omaha, Nebraska. Willette, M.M., Norton, T.L., Miller, C.L., Lamm, M.G. 2002. Veterinary Concerns of Duikers. In: Zoo Biology - Special Issue on Management of Duikers in Captivity; 21 (2), 197-207. Dubey, J.P., Garner, M.W., Willette, M.M., Batey, K.L., Gardiner, C.H. 2001. Disseminated Toxoplasmosis in Magpie Geese (Anseranas semipalmata) with Large Numbers of Tissue Cysts in Livers. In: Journal of Parasitology; 87 (1), 219-223. Willette-Frahm, M.M. The Saga of Jasai. 2001. Animal Keepers' Forum, 28(5): 200-202. Willette-Frahm, M.M. 2001. Health Assessment and Mycoplasma Survey of Texas Tortoises (Gopherus berlandieri). In: Proceedings of the Association of Reptilian and Amphibian Veterinarians Annual Conference; Orlando, Florida. Willette-Frahm, M.M. 2001. Chemotherapeutic Treatment of Lymphoma in a King Cobra (Ophiophagus hannah). In: Proceedings of the American Association of Zoo Veterinarians Annual Conference; Orlando, Florida. Willette-Frahm, M.M. 1999. Medical Management of Duikers. In: Fowler, M and Miller, RE (Ed): Zoo and Wild Animal Medicine. WB Saunders Co.
Kumamoto, A.T., Charter, S.J., Houck, M.L., Willette-Frahm, M.M. 1996. Chromosomes of Damaliscus (Artiodactyla, Bovidae): Simple and Complex Centric Fusion Rearrangements. In: Chromosome Research; 4, 614-621. Willette-Frahm, M.M. 1995. Blood Collection Techniques in Amphibians and Reptiles. In: Bonagura, J (Ed): Kirk's Current Veterinary Therapy, XII, Small Animal Practice. WB Saunders Co.
Willette-Frahm, M.M. 1994. Select Protozoal Diseases in Amphibians and Reptiles. In: Infectious Disease Reviews. American Association of Zoo Veterinarians. Willette-Frahm, M.M. 1990. Treatment of an Oral Eosinophilic Granuloma and Fibrosarcoma in a Bengal Tiger with Hyperthermia and Iridium-192 Implants. In: Proceedings of the American Association of Zoo Veterinarians Annual Conference; Brownsville, Texas. Willette-Frahm, M.M. 1989. "Lumpy Jaw" in Herbivores at the Denver Zoo: A Retrospective Study (1980 - 1988) With Thoughts on Pathogenesis and Treatment. In: Proceedings of the Exotic Animal Dentistry Conference; Philadelphia, Pennsylvania. Madjr, J.-J., Nielsen-Smith, K., Willette-Frahm, M.M., Roufa, D.J. 1982. Emetine Resistance in Chinese Hamster Ovary Cells is Associated with an Altered Ribosomal Protein S14 mRNA. In: Proceedings of the National Academy of Sciences; 79 (4), 1003-1007.